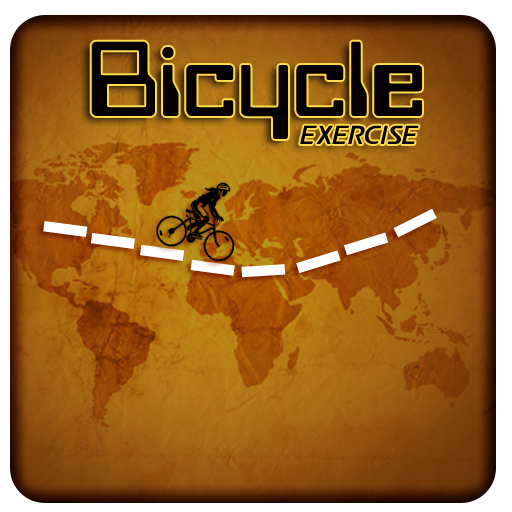 We are back once again with an up graded version of your favorite iPhone/iPad app “Bicycle exercises”. Hey I can Map My Ride.Your love and gigantic feedback has forced us to make this application more fascinating and vigorous in the form of its advance version. Mobil Media City wishes to make you cheerful “forever and a day” by introducing such finicky app on your iPhone/iPad and to make you healthy and fit ever using its IPhone/ IPad Health Applications. Have you ever seen such an amazing app, which not only allows you to ride but also makes you fit and record all your workout details together with duration, distance, speed, calories burned, and elevation and with different routes? Then why are you wasting your time and making your iPhone/ iPad dreary and lackluster? Are you confused that how it works? Let me elaborate you further. Each and everything is made simpler in Map my bike routes app as running calculator measures the distance covered, same as Google maps pedometer which allows you tracking your routes and biking paths and riding calculator measures calories burned by you. Enjoy your most wanted iPhone/ iPad application with the addition of more and more features such as. Review your all routes through its extensive GPS facility. More Maps and Additional Riding Routes. One can MapMyRide. Speedy Calculation of distance and time for specific route. Calculation of calories burnt while efficiently riding. 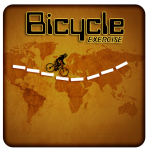 Burn your Calories up to your greatest extent by riding through the elongated distance without trepidation of being lost when Bicycle Exercises App is running in your IPhone/ IPad. View your Elevation Graphs and workout Session Summaries. Share your Maps and Routes with your Friends and Families. Music Player is embedded in this Application. Customer Support for any queries. Go on a ride, listen to music on your iPhone/iPad, leave everything behind you and I am dead sure that you are going to hit milestones. 12 Responses to "Bicycle Exercises"
You’ve got great insights about Mobile, keep up the good work! Its an awesome app. Its the first GPS app i have found working. 🙂 Interface of the app is very good. You’ve got great insights about Mobile Apps, keep up the good work! I am biker boy and this app is serving me in an awesome way. Wonderful work! That is the type of info that are meant to be shared around the web.